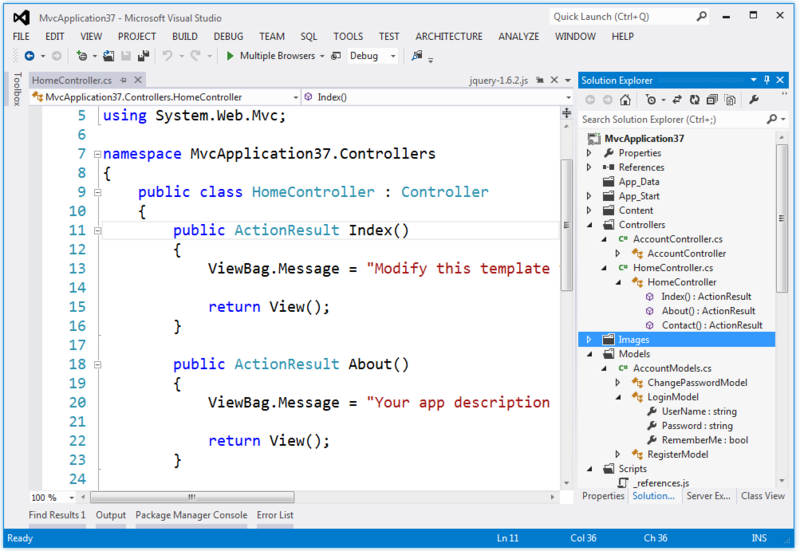 In the Coding Zone: Visual Studio 2012: What's Your Problem? Too little colour, TOO MUCH SCREAMING!! Seriously, are we still complaining about this? I have to admit that when I first saw screenshots of the new interface I also thought "what have they done?" This was back when everything was grey and dull. I initially didn't like the UI but rather than just complain endlessly about it I thought I would wait until I could at least try it myself and not judge it on a few screenshots of a beta product. I even gave what I hoped was constructive criticism about it , like many others did. And eventually Microsoft got the hint and made changes and toned down the extreme parts of the new UI and now I feel more comfortable with it. But this UI change has ended up masking any number of new features and improvements that actually make you productive to the point that people can only focus on one thing: they hate how it looks. I've been a fan and supporter for 20+ years. This time you guys outdid yourselves (yes, I am being sarcastic). WHAT IN THE WORLD WERE YOU GUYS SMOKING WHEN YOU CAME UP WITH THE BRILLIANT IDEA OF GETTING RID OF THE COLORS??? I CAN'T WORK LIKE THIS. I VERY QUICKLY UNINSTALLED IT AND WILL NOT ALLOW ANY DEVELOPER ON MY TEAM TO USE THIS. OUR PRODUCTIVITY WOULD FALL BY AT LEAST 30% IF WE STICK TO THIS IDE. JUST IN CASE YOU ARE WONDERING WHY I'M TYPING EVERYTHING IN UPPER CASE, IS BECAUSE I'M TRYING TO GIVE YOU A TASTE OF YOUR OWN MEDICINE!!!!! It's not even constructive, this is just a person ranting to the world because they can. Unfortunately a lot of people follow this tack so it just feels like I'm drowning in negativity. I try very hard to not be critical of things and if I have to complain I try very hard to at least give suggestions to improve something, but it seems the age of the Internet and social media simply makes us into people who want to argue for arguments sake and that disappoints me. And I want Microsoft to know that I at least am looking forward to using VS2012.